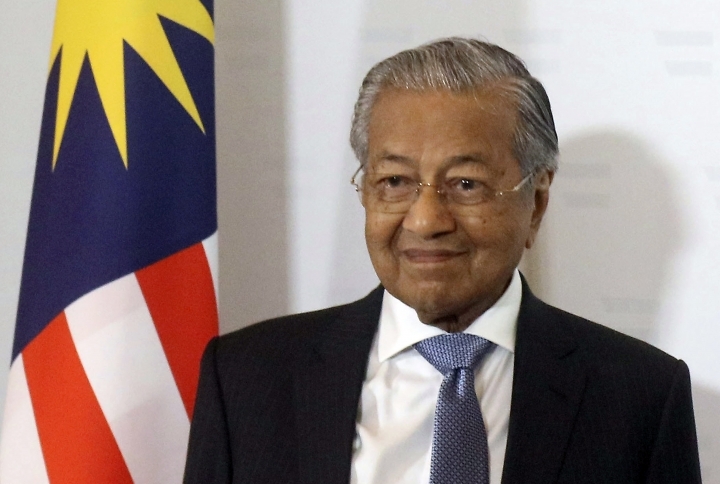 KUALA LUMPUR, Malaysia — Malaysian Prime Minister Mahathir Mohamad said Tuesday that proceeding with a multibillion-dollar China-backed rail link project would impoverish the country, saddling the government with excess debt for the next 30 years. Since winning a historic vote last May, Mahathir's government has axed or reviewed large-scale infrastructure projects to rein in a surging national debt that it blames mostly on corruption in the previous government. But there is confusion over the status of the $20 billion East Coast Rail Link following recent conflicting statements by two Cabinet ministers. Mahathir's comments Tuesday suggested it might be called off but he later said a final decision hasn't been reached. "It is not that we do not want to honor our contracts, but we just cannot pay," Mahathir said. "It will impoverish us so we seek understanding of the parties concerned, that it is not because we just want to frustrate or throw out a contract, but because we are really tied in terms of finance." Paying compensation won't be as much as "the amount of debt we will carry for the next 30 years," he added. At another event late Tuesday, Mahathir said negotiations are still ongoing as both sides have different perspectives on the project, and the government hasn't made a final decision. In Beijing, Chinese foreign ministry spokesman Geng Shuang said the project had been agreed to "on the basis of mutual respect and equality." He said the two sides were discussing the issue. The 688-kilometer (430-mile) rail link is a key part of China's regional Belt and Road infrastructure initiative. It would connect Malaysia's west coast to rural eastern states. It is largely financed by China and the main contract was awarded in 2016 to the China Communication Construction Company, or CCCC, by former Prime Minister Najib Razak. Officials have said the project's final cost is about 50 percent higher than estimated by the previous government. Mahathir said Tuesday that Azmin was merely trying to explain the importance of maintaining good ties with China as it is Malaysia's top trading partner and key investor. He said Lim will make an announcement on the matter but didn't say when. The government has also said it is investigating whether any money in the rail project has been channeled by Najib's government to repay debts at the 1MDB state investment fund. A massive financial scandal at 1MDB led to the ouster of Najib's coalition. Najib is facing multiple corruption charges linked to 1MDB.